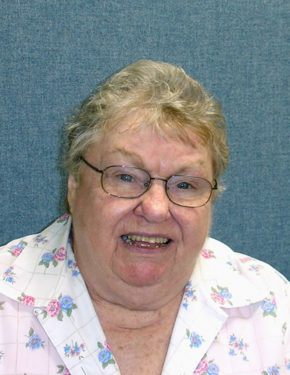 Sister Roseann McHale, O.P., a Sister of St. Dominic, Amityville, for 60 years, died March 28. She was 79. Born in Howard Beach, she was a member of Our Lady of Grace parish, and attended Bishop McDonnell M.H.S., Crown Heights. She worked for a year before entering the Dominican Novitiate at Amityville in 1958 and she received the name, Sister Ann Michel. She professed her vows on Aug. 7, 1959. After studies in business administration at St. John’s University, Hunter College and Fordham University, she taught elementary grades at St. Clement Pope, South Ozone Park, until 1970 when she was assigned to St. Nicholas H.S. in Williamsburg, where she then taught business subjects. In 1970, she became principal at St. Ignatius Loyola, Hicksville, L.I.,. In 1976 she returned to secondary education at St. Agnes Academic, College Point, where she remained for the next two decades. For the first 11 years, she taught business, served as department chairperson and moderated the student council. In 1987, she became assistant principal and remained in that position until 1996. From 1996 until 2013, she ministered at Queen of the Rosary Motherhouse where she was administrative assistant to three successive Councilors for Ministry. She is survived by her sister, Helen Hickey, and her two brothers, Neil and Michael. All services took place in St. Albert’s Chapel at Queen of the Rosary Motherhouse, with interment following in the Sisters’ cemetery. So very sad…she was a GREAT teacher, warm individual…and a great laugh.